"For all Sebastian Vettel's brilliance at Red Bull, the gritty underdog Mark Webber had been in front of him or right on his tail. 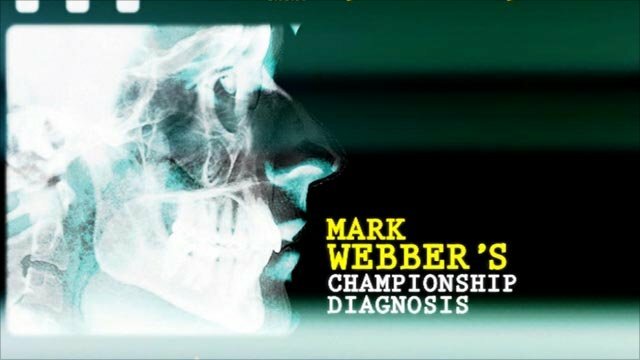 "Webber's speed has really impressed me this season and some of his victories in the last two years have been astonishing. Any F1 driver in history would accept many of those on their CV. "But every so often he has a wobbly one and ends up back in the pack and in trouble, such as flying off the back of a Lotus in Valencia. Like Button, he is occasionally slightly off the pace all weekend. "I know for many people the Australian would have been a popular champion. Webber knows his time is running out, but I don't see Red Bull being slow next year." ... it needs to be controlled precisely by a driver, in all conditions. ... return more classic tracks to the calendar. Jonny Kane (Le Mans driver). The Germans except Sebastian Vettel, who's actually very funny. I don't excel at any sport in particular but enjoy having a crack at all of them. A Porsche 911 Turbo, a Nissan Navara, and a Renault Laguna Wagon. What is your favourite song and what does it remind you of? I don't have one favourite song, but I like Pink, Oasis, U2 etc. 'First into Action' - a book about the Special Boat Service. Exhilarating, concentration - you need a lot of that - breathtaking. The worst part of the job are the hotels and the best bit is racing each other. As someone who was quick and always gave his best. It has to be crashing off my mountain bike and breaking my leg in my own adventure race in 2008! You have to look at what [Muhammad] Ali did. He was an unbelievable sportsman and an unbelievably powerful person, more outside the ring than in it. He was just a phenomenal person. There was no media then in comparison to now and so to be as big as he was, I can't see anyone matching what Ali was. Train before breakfast then have a nice shower, nice brekkie, watch Australia playing some sort of sport on TV for most of the day, a bit of Xbox and then a nice meal with (partner) Anne. Hitler - I'd ask him why. I don't own a (hair) brush - and haven't done for 10 years.